Home Cleaners 4 You is a Northern Virginia’s leading family-owned and operated house cleaning service, and maid service provider. 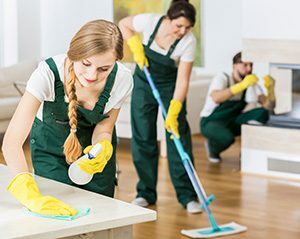 We strive to completely satisfy our customers by tailoring all house cleaning and maid services to fit your unique lifestyle and circumstances. With well over twenty years within the house cleaning services business, Home Cleaners 4 You will deliver top quality house cleaning and maid services at the most affordable rates found anywhere in Northern Virginia. Our friendly and experienced, professional house cleaners are fully licensed, bonded and trained to some of the most rigorous standards within the industry. In fact, most of our team has been with us for over ten years, and we take pride in the “family” that we have as staff. We invite you to see how great it is to come home to clean house, and our goal is to always have our maid services provide you with results that exceed everything you could have imagined. Our professional house cleaners get down to the nitty gritty to ensure that every spot within your home is sparkling clean. Get the top Springfield home cleaning services for an affordable rate! Contact us today for a free maid services estimate on all of your home or office condo cleaning needs. Home Cleaners 4 You can provide professional house cleaning and maid services to many Northern Virginia areas. Get your free estimate today!